Slow Sleep – the blog of sleep: The more you sleep, the more … earn! TV and movies have accustomed us to the image of hyperactive businesspeople who sleep very little and fuel themselves with indispensable super potions made up of caffeinated energy drinks. But… can this be true? 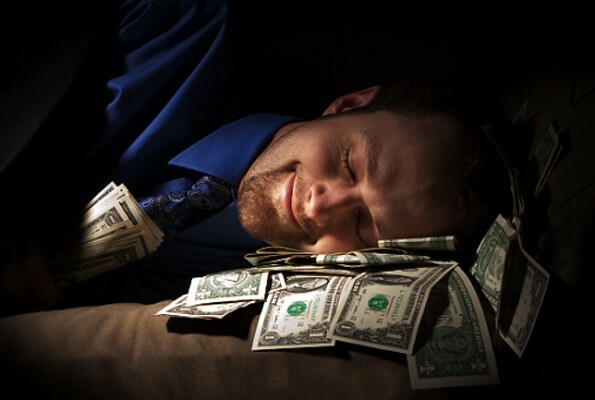 To some American scholars it is false: even one extra hour of sleep per night can raise your salary by 5%! According to the researchers at the Williams College at the University of California, in countries where habits include longer sleep hours, the average salary is higher, leaving no career advantage for sleep-deprived managers. The reason for this is simple: when you’re rested you are more productive. In professions that involves relationship with others, you are better prepared, and it is easier to do business. We also know that, in a long run, failure to rest leads to difficulty in concentration. It increases stress, which then affects the mood and quality of life outside the workplace. More rest brings more peace of mind that, in the workplace, becomes productivity, and outside of the office brings positivity, which helps to be happier. Even the famous Arianna Huffington has pleaded the cause of good rest and for some years has dispensed tips for a “slower” life. This is where the mattress comes in. The link between money and the mattress has a long history. It may be true that a few decades ago cash was hidden under the bed; nowadays, scientific evidence indicates that buying a quality mattress becomes an investment in your professional future and a launch pad towards the prospect of great wealth. OK now, don’t waste any more time. Everyone off to sleep!! !